"GET 'EM SHARP": This seminar introduces the students to the theory and practice of hand-sharpening knives using traditional oil stones. Emphasis is placed on having students recognize a sharp edge, the techniques for creating it and sharpening their own knives DURING the seminar. With more and more people insisting on self-sufficiecy, urban agriculture and horticulture are becoming more popular. Additionally, people are showing a renewed interest in where their food comes from AND in growing and raising their own. Its time to reintroduce the tool skills that were once common in every household. Why be dependent on others when the skills of sharpening and tool care are so easy to learn. Let the Pilgrim Soul Forge be your guide to the skills your Grandparents used every day....Contact the Pilgrim Soul Forge for details. 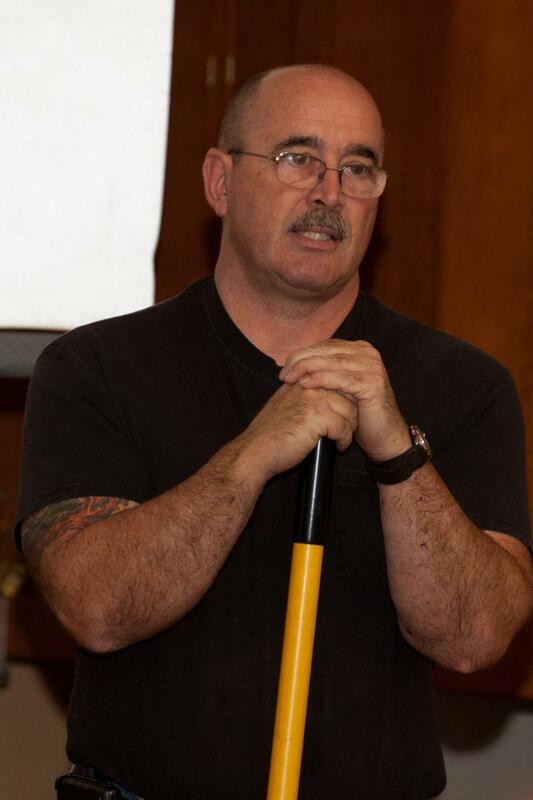 Grant has been a featured speaker ﻿at ﻿the following venues: 2014 San Francisco Plant & Flower Show, 2014 Piedmont Garden Guild, & 2011/2012 Alameda County Master Gardener's Fall Seminar. Still have questions? Please contact us anytime! We look forward to hearing from you.